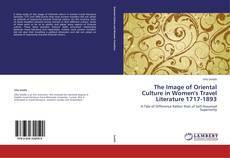 A deep study of the image of Oriental culture in women travel literature between 1717 and 1893 proves that most women travellers did not adopt an attitude of superiority towards Oriental culture. On the contrary, most of these travellers showed strong interest in that different culture. Some of them went as far as to admire and adopt many aspects of Oriental culture. These ideas question Edward Said's presumed relationship between travel literature and Imperialism. Indeed, most women travellers did not give their travelling a political dimension and did not adopt an attitude of superiority towards Oriental culture.